In 2003, Decathlon opened its first store in China, means Decathlon stepped into China market. Up to Dec, 2018, Greater China has opened 280 stores in 106 cities, and with Decathlon China E-commerce online platform, we can already serviced local Chinese customers needs who come from different 390 cities of China. As the world’s leading sports good retailer, the business concept of Decathlon is to collect as more sporting goods as possible. Decathlon store provides 80 categories of an average of 35,000 products, and regularly organize sports activities and encourage all customers to learn, try and enjoy the pleasure of different sports items. 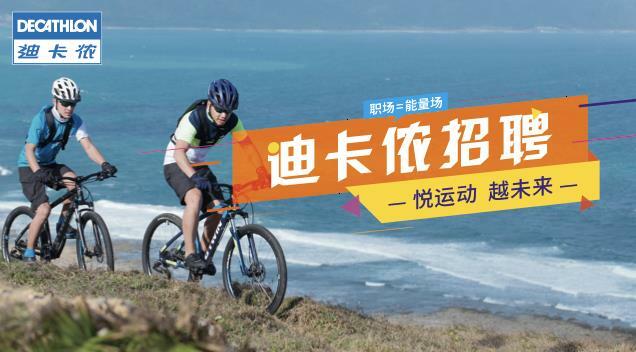 Currently Decathlon group is expanding China market, our ambition is to reach 500 stores in Greater China in next five years, and we are looking for sportive, lively, friendly talents to and join us. Welcome to Decathlon!